And at a record breaking auction in Geneva in 1897, we successfully bid for a set of jewel-encrusted tie pins that the late Duke of Windsor received from his wife, the Duchess of Windsor. We’ve also been lucky enough to buy treasures, including a pair of silver candelabras and costume jewellery, from the estate of Jackie Kennedy-Onassis, the former wife of President John Kennedy, at an auction in New York in 1996. Rex Johnson and Sons jewellers, on Corporation Street, have been asked to value and buy three imitation Rolex watches on three separate occasions in the past week. An elderly woman who had four rings stolen from her by an apparent Good Samaritan is to receive new ones after a jeweller read about her plight. 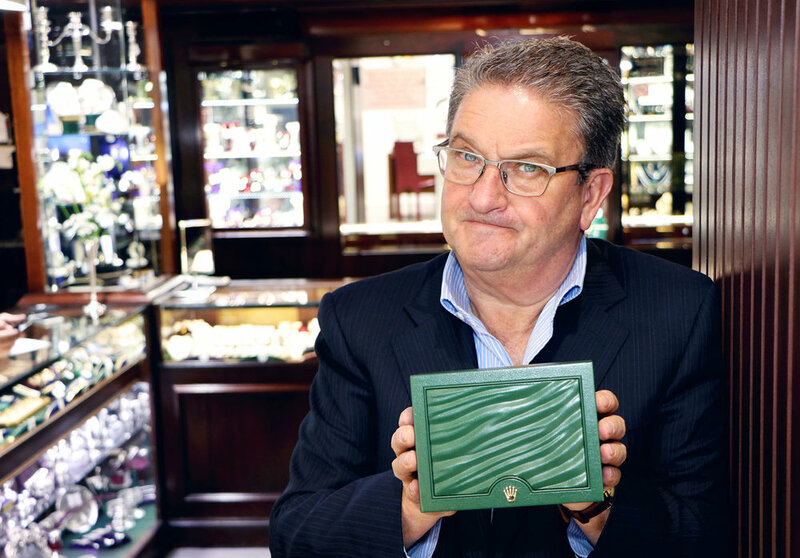 Birmingham jeweller Rex Johnson and Sons has revealed that anyone with a 1940s white £5 note could be quids in. Birmingham jeweller, Rex Johnson & Sons, wants to buy in more antique timepieces to cope with demand.